"Looking back on the myriad of ways that the genre now known quite loosely as 'bass music' has mutated, one of the key figures in its evolution would have to be Bristol's Rob Ellis, better known as Pinch. His fascination with what the outer limits of the dub sound can achieve, has made him a distinct figure within the fluid group of like-minded dubstep musicians that defined the so-called Bristol sound." "If your chest aint rattlin' - it ain't happenin"
Pinch is known for many things bass related - whether it's his productions/remixes, DJ sets, labels or events, he has excelled at all levels. His Subloaded night, operating since 2004, brought dubstep to Bristol - the scene's first destination outside of London's conceptual FWD>> at Plastic People. By 2008, Subloaded was pulling in over 1000 heads for each event and the Bristol dubstep scene was thriving, Pinch at the helm of it all. His Tectonic imprint, established in 2005, has brought many great names to the forefront of underground dance music - and in the process, the label has garnered an international reputation for consistent quality. Carving a unique niche in forward-thinking electronic music, Tectonic showcased early releases from the likes of Loefah, Skream, 2562, Digital Mystikz, Distance, Flying Lotus, Joker, Addison Groove and Peverelist. Many other well respected names have joined Pinch in contributing to the Tectonic catalogue over the years, such as dub-legend Scientist and darkside jungle hero Photek. Tectonic holds a residency spot at London's highly respected Fabric nightclub as well as regularly taking over stages at festivals or nightclubs across the globe. Recently Pinch launched a new imprint, Cold Recordings, as an outlet for darkside bass driven mutations of house and techno - a sonic that has been incorporated into his DJ sets over the last couple of years. Pinch's own productions have always been well received by the press over the years, having sprawled across the likes of Planet Mu, Soul Jazz, Punch Drunk, Deep Medi as well as the infallible flavour of the moment, Swamp 81. Similarly he has remixed a range of music styles for labels including Ninja Tune, Warp, Wichita, Wax, On-U Sound and 2 Kings - always to devastating effect. 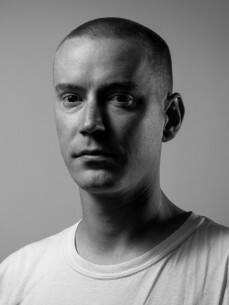 Pinch is prolific in his collaborative work too, most notably working alongside Shackleton for late 2011's 'Pinch & Shackleton' album, released on Honest Jons to much critical acclaim. Pinch also works with Distance under the guise 'Deleted Scenes' as well as having released collaborations with Loefah, Peverelist, Roska, Photek and most recently alongside UK dub legend Adrian Sherwood (as 'Sherwood & Pinch') on a forthcoming album, already causing a stir behind the scenes.